P&O Australia announced today it had sold the Pacific Jewel; a buyer was not named and the 70,285-ton ship will leave the fleet in early 2019. "A jewel by name and nature," said President Sture Myrmell. "Pacific Jewel leaves us in March next year but please rest assured we will be contacting guests with bookings on Jewel after this time offering cruises that best match their needs." It is the second vessel the company has sold in recent months, as the Pacific Eden was also sold earlier this year and will head to Cruise & Maritime Voyages in 2019. 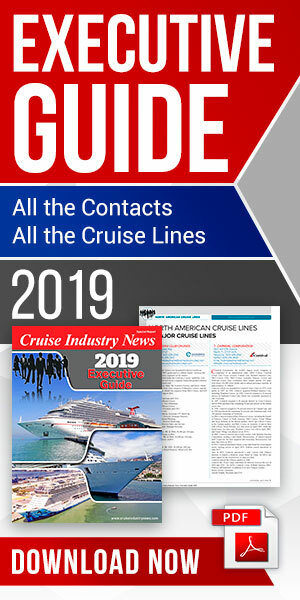 It continues the trend of a hot secondhand cruise market. At the same time, P&O announced that it would receive the Star Princess from Princess Cruises in late 2021. The company will also takeover the Golden Princess in 2020. The Pacific Jewel entered service in 1990 as the Crown Princess after being built by Fincantieri. It also served as the A'Rosa Blu, AIDAblu and Ocean Village Two before moving to P&O Australia as the Pacific Jewel in 2009.